The community pools in The Woodlands opened last week and now are officially ready for your summertime enjoyment! There are 14 public pools in The Woodlands Township, so the choice is yours for where you want to spend your lazy summer days. Many of these locations have baby pools, waterslides and diving boards to suit your family’s desires. Probably the biggest and best pool in the area is the Rob Fleming Aquatic Center located on Creekside Forest Drive. One of the unique features of the Aquatic Center is the lazy river – fun and relaxing to float along and enjoy the ride, and tubes are included with admission. Little ones will enjoy the water play structure and accompanying splash pad. Lap lanes are available if you want to get in some exercise under the sun. They also have concessions available for sale. Cranebrook pool is another great one for small children and families. The large play structure is centered in a shallow pool and lifeguards are present at the top of the structure as well as surrounding it. There’s a splash pad, slides and water features for kids to play in. Shadowbend pool is a great place to host a party or other event. They have a pavilion inside the pool area available for rent for your group. This pool also has equipment for younger and older children, including a splash pad adjacent to the pool, several waterslides, lap lanes, and even offers SCUBA diving classes once a month. 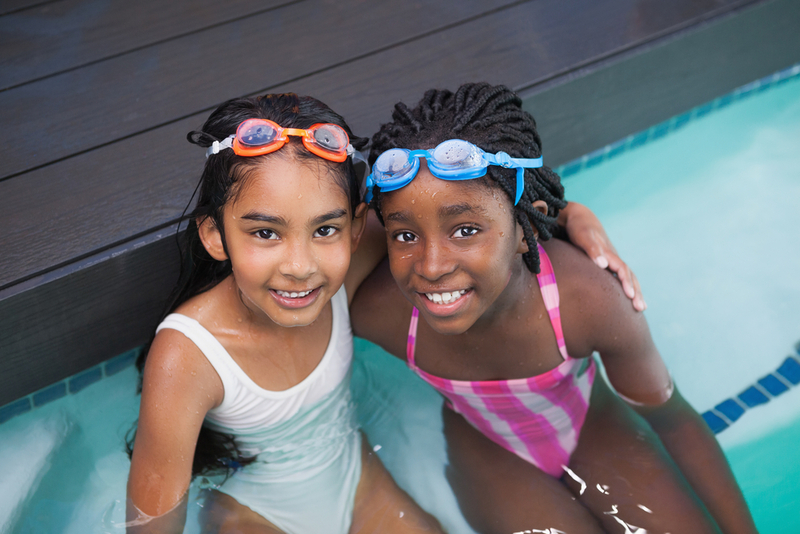 Pools are open to both residents and non-residents of The Woodlands. You can pay a daily rate to visit the pools if you aren’t sure you’ll be spending too much time there. However, a season pass is well worth it if your plans include frequent trips to the various pools in the community. Visit http://tx-thewoodlandstownship3.civicplus.com/327/Pool-Fees-and-Schedule for further fee details and to get your passes.